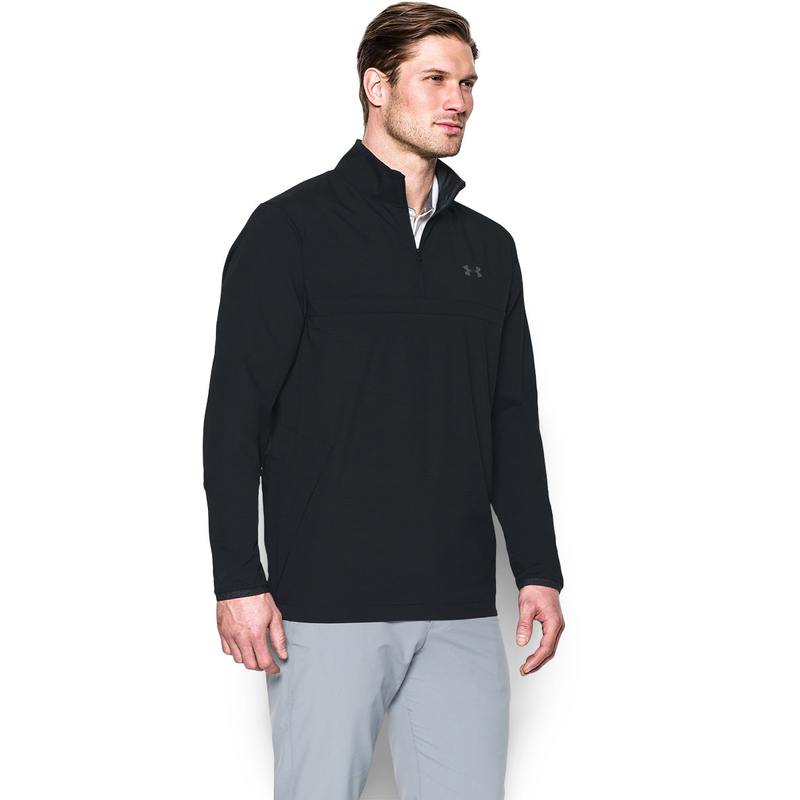 Block out the elements on the golf course this season with this incredible Under Armour windshirt. 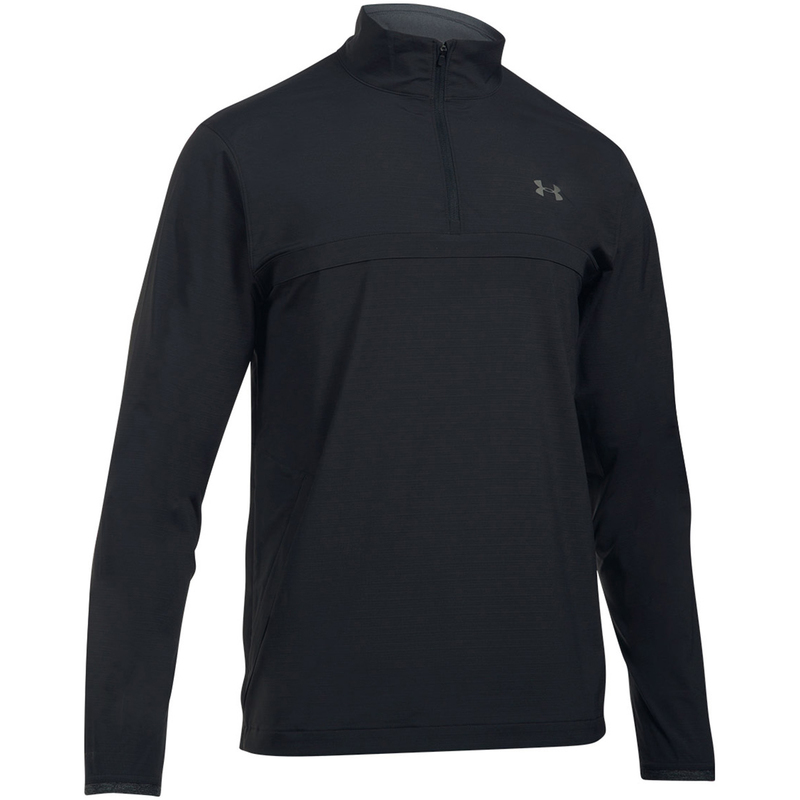 Thanks to the UA storm technology within the fabrics, this windshirt repels water without sacrificing breathability. 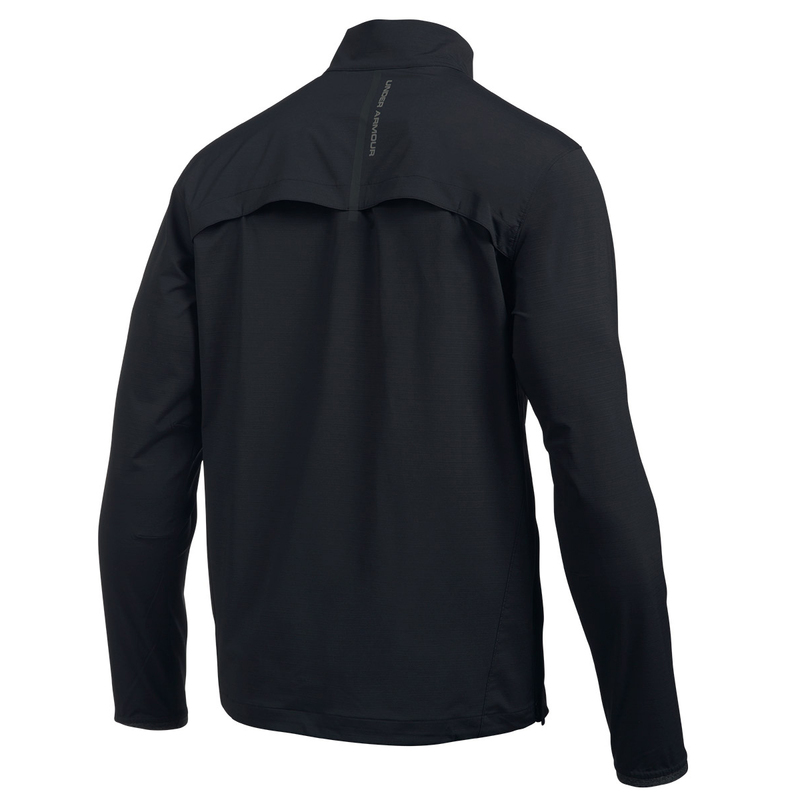 Breathability is also enhanced by the chest and back vents, while the windproof construction guards you from the elements. 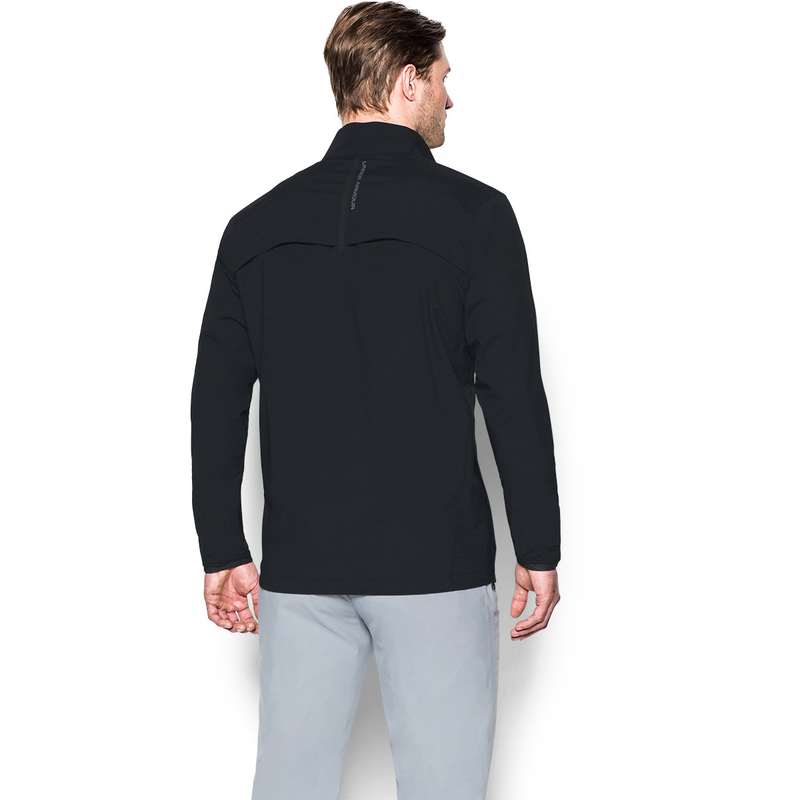 This windshirt provides comfort on and off the golf course thanks to the loose fit and 4 way stretch materials that provide boosted mobility in any direction. 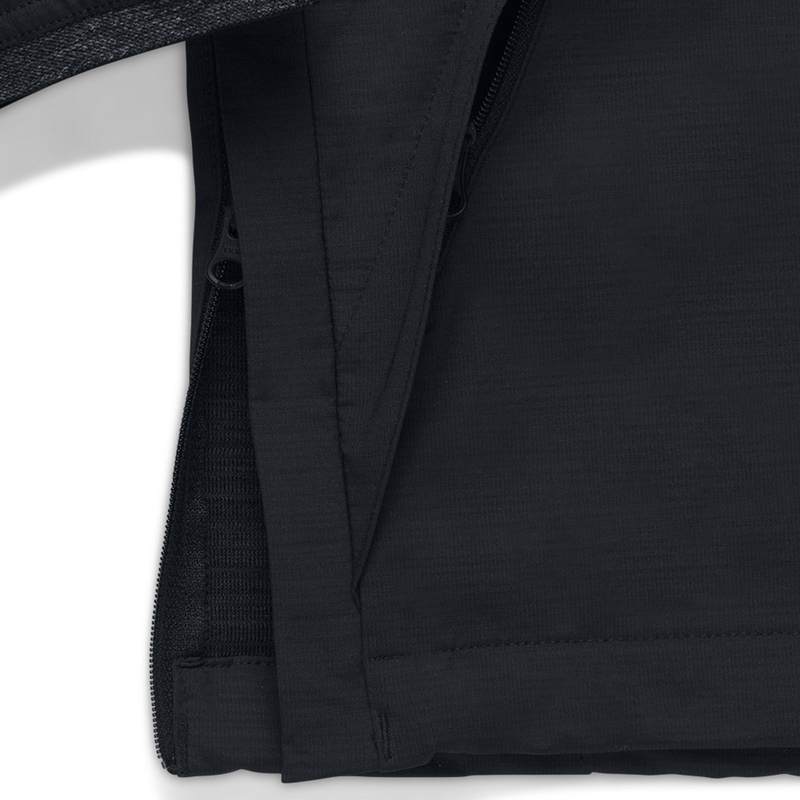 There is an internal phone pocket and 2 front hand pockets for accessories, while the design is complete with elastic cuffs and adjustable hem.